Finding encouragement in the word. I read 2 Peter 1:3-12 today…. I love how it starts off reminding us that God has given us EVERYTHING we need to live a godly life and through his glory and goodness, he has given us exceedingly great and precious promises so that we could again, be “partakers of divine nature”. I was challenged by a woman named Joanna who was healed by Jesus and provided for him as he ministered to the masses. She was with Mary Magdalene when the angels came to tell of Jesus’s resurrection at the tomb. She was one of the ones who spread that truth. But, she was also the wife of the man who had John the Baptist beheaded and whose father in law had all baby boys murdered after the birth of Jesus. Let that sink in. This woman, in spite of who her husband was and what his beliefs were, chose to obey the one she was committed to FIRST – not by date but by hierarchy. She was married before she met Christ but she understood that Christ comes before her husband. I thought about how the Proverbs 31 woman was said to “laugh without fear of the future”…… I always thought it was because she was prepared, she was a hard worker, and had an amazing husband who provided for her and believed in her. Now, I’m wondering if it had more to do with how she believed in the promises of God. Obviously, she was a woman of God but the scriptures about the virtuous woman never directly speak to her trusting Him – it, I think, gives us the real life outcomes of a woman who trusts in God and serves Him in her home. Her life I’m sure wasn’t perfect. I’m sure it was very hard – her husband was very busy… I mean he was well respected at the city gates – sounds like he was quite important. 🙂 And, important people tend to be pretty busy with doing their jobs. lol. Right? She had kids, her own businesses, and still took very good care of her home. While managing to look great while doing all of that! I can’t help but to wonder how exhausted she was. Both of these women seem to understand that no matter what they were going through or what their circumstances were – they chose to boldly obey God. They trusted Him. They believed and put more effort into serving than they did focusing on their circumstances. These two women lived in very different households…. had very different husbands. But, both chose to live counter-culturally. They both honored God and caused other women to believe in and honor Him, as well. I wasn’t so much convicted about trusting the promises of God than I was encouraged to do it. Encouraged to live boldly for Christ. Inspired by these women’s commitment and courage. They could have easily saw their futures through the lenses of their workload and familial history but chose to see much more than what was right in front of them. I wonder if the “time to come” they “rejoiced in” (King James version) wasn’t a physical year or month from now when maybe things slowed down at work and husbands would be home more or possibly the day a husband may come to know God or follow our Christ more boldly – but the time in which Jesus would return. The time in which they would be united with their Savior, when they would take their positions as heirs of the Kingdom of God in Heaven. Could that time to come be eternity with their Savior? Joanna is amazing to me…. Completely amazing. She carried her own load – she didn’t allow her husband’s thoughts or desires or belief system to guide her own. And, as a wife, your husband is the leader, the head of your home and it can be difficult to fall under someone who is doing things you don’t agree with or isn’t doing things you feel in your very soul should be done. But, she trusted God anyway. I doubt she was disrespectful. I would hope that she was quiet and chaste. That she honored God and won her husband without a word. I hope that she positioned him, with her grace and gentle spirit, to worship the mightiness of God when the news the revelations came after Jesus died and hung around a while after He was resurrected from the dead. A wonderful life….. Wonderful is no doubt a subjective term but as Christians what does wonderful mean? 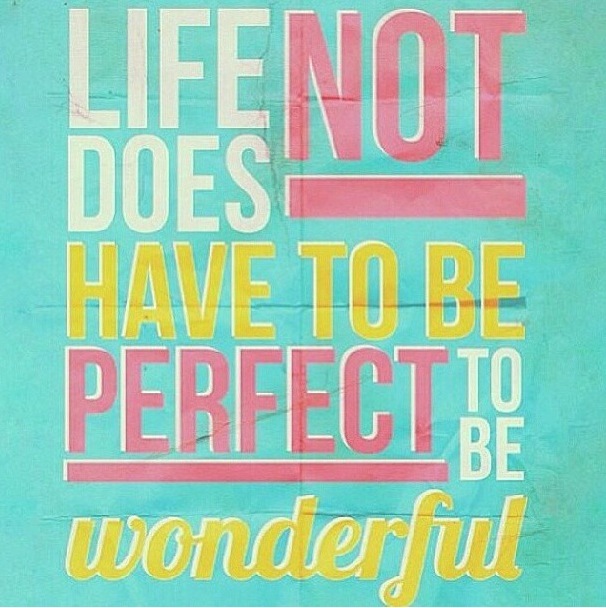 What does it mean to have a “wonderful life”? As a woman, who has an incredible impact in your home/jobs/wherever, what does it mean to be “wonderful” to those around you? These women, were no doubt wonderful and they led amazing and wonderful lives. They were beautiful, courageous, bold, hard working, and honorable women. They trusted God. I’m hoping that we can encourage one another to be wonderful women who live wonderful lives … women who trust God and believe in His promises. Who look to Him for EVERYTHING we need to live lives that please Him versus looking at our circumstances and allowing them to dictate our life choices. I could literally talk about this all day. But, I won’t!! … here’s to being wonderful. Have a great day ladies!